As a child one of my favorite things about the holidays were enjoying Christmas cookies. Every Christmas my dad’s mother would bake Italian Butter Cookies. It really was a treat because this was the only time of the year she would make them! As I got older, I naturally couldn’t wait to have the recipe handed down to me! 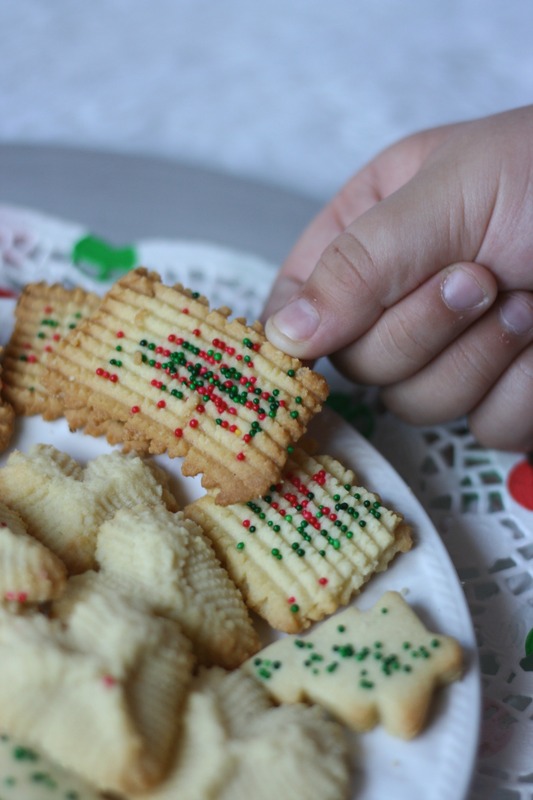 Well now many years have passed by and these Italian Butter Cookies have become our holiday staple. The recipe uses a cookie press. I bought one when I first tried to make the cookies, but I just couldn’t get them right. Then, about 8 years ago we were cleaning out my grandmother’s apartment and we found a cookie press! You can bet that baby came home with me! I think the pure fact that it is vintage gives it the charm to make delicious cookies! One of my greatest joys now as a mother is passing this tradition on to my children. I hope this is a recipe that they can always remember and get comforting and loving feelings from when they think about! I truly enjoy seeing the excitement in my kids’ eyes when they get to play with my cooking “toys”. The dough to make these Italian Butter Cookies is very easy to make. It even freezes and defrosts well, so plan on making it and saving some because it makes a lot of cookies! Prepare 2 cookie sheets with parchment paper. Note: Use the empty butter wrappers to grease the pans first so the parchment stays flat. 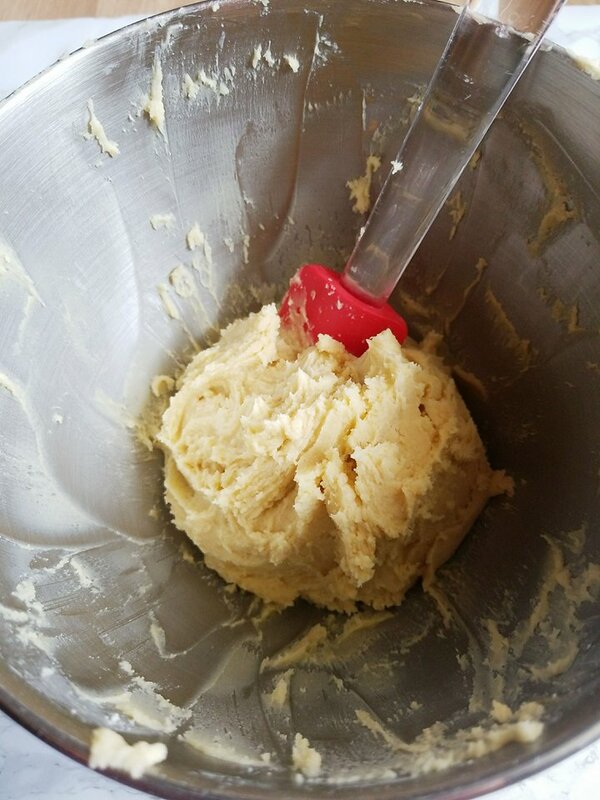 Beat together butter and sugar until fluffy. Mix in egg yolks and vanilla and almond extract. Don’t forget to scrape down the sides of the bowl. Slowly add in the flour and salt and mix until incorporated. Put some of your dough into your cookie press. I like to use a little bit of dough at a time so that you can change your decorative discs. Hold your cookie press perpendicular to the baking sheet and press the cookies onto your baking sheet. Bake for 10 minutes or until the cookies become slightly golden. These Italian Butter Cookies are still the hallmark of our holiday desserts. Once the coffee starts brewing everyone knows they will be on the table in no time! 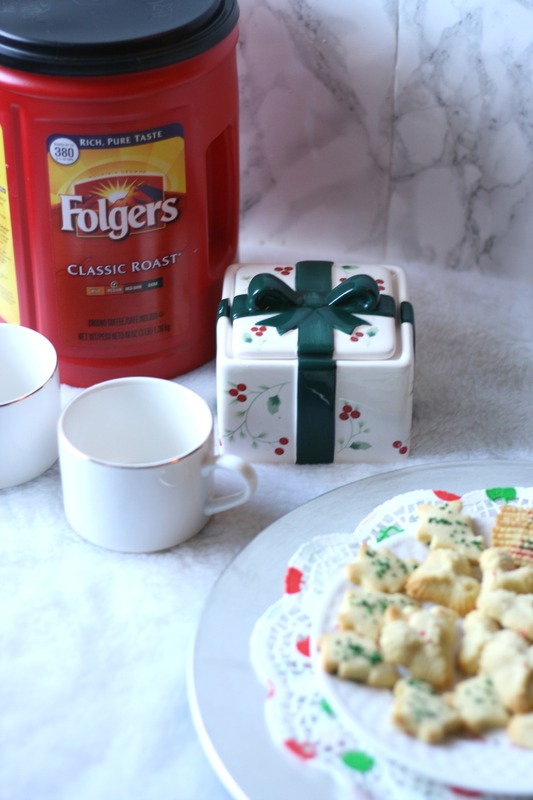 I pick up the Folgers® Classic Roast 48oz can to make sure I never run out of coffee throughout the holiday season. Picking up Folgers Classic Roast is so easy since it can be found right in the coffee aisle in Walmart. Of course, before we package our favorite cookies up to travel throughout the season, we enjoy a few ourselves! Folgers for me and milk for my little one! What are some of your family’s favorite holiday traditions? Mmm!! Butter cookies are one of my favorite indulgences around the holidays!! They are so melt in your mouth delicious! My son and I will have to make some this year! Aaah, these look and sound DELICIOUS ???????????? now I really want to bake! Guess that’s my plans for this evening sorted! These cookies would be a great addition to our holiday tradition of making and decorating cookies on Christmas Eve! Your daughter looks like she had fun making them! I am all over getting cookies! This time of year I know I gain weight because of all the sweet stuff. It’s worth it because in January I start dieting again and that I will be able to look back at the yummy stuff I ate over the holidays LOL. I can’t wait to try these cookies. There is no cookie better for an occasion than butter cookies. Keep your chocolate chips and your peanut butter. Give me butter cookies! I adore butter cookies! I’m not sure if I’ve ever had Italian butter cookies, but if I haven’t, I will soon! Om nom nom. Those cookies look amazing and so delicately delicious. I am not Italian but these cookies make me want those great recipes. I wish I could bake something like this. Those cookies look so good! They are exactly the kind I want to make with my kids. I LOVE Christmas cookies and so do the kids. I really enjoy making them too. These butter cookies are adorable and just the right size. Thanks for the recipe! I love butter cookies. They are a family favorite. I love that you bake them with your daughter. What a fantastic tradition. I’m always on the lookout for new cookie recipes to try for the holidays and this one looks like a perfect one to bookmark. I’ve tasted Italian Butter Cookies before but never had a good recipe to follow. Now I can make some myself! I love these kinds of cookies. I have never tried making them before though. I’m going to save this so I can make them soon. Oh yum! I can’t wait to make some Christmas cookies this year. These would be perfect! Those look buttery and delicious …. I’ll have to add this to our Christmas baking list. These are the kinds of recipes that make your holidays complete. And having the little helpers doesn’t hurt either! 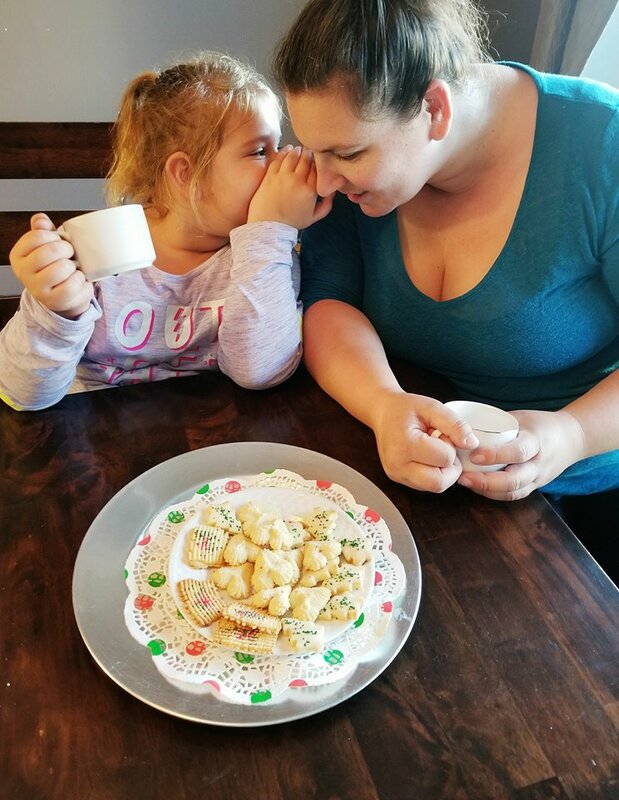 I love these memories – all made perfect with cookies! That looks delicious! Such a great treat for the holidays! Wow you just reminded me of a childhood memory my Mom made these every year for us until I was 12. I love a great butter cookie recipe. I am going to have to give these a try for the Holidays, they look really yummy. These cookies look so good! I’ve never heard of the Italian butter ones but I so want to try them. These look so yummy! 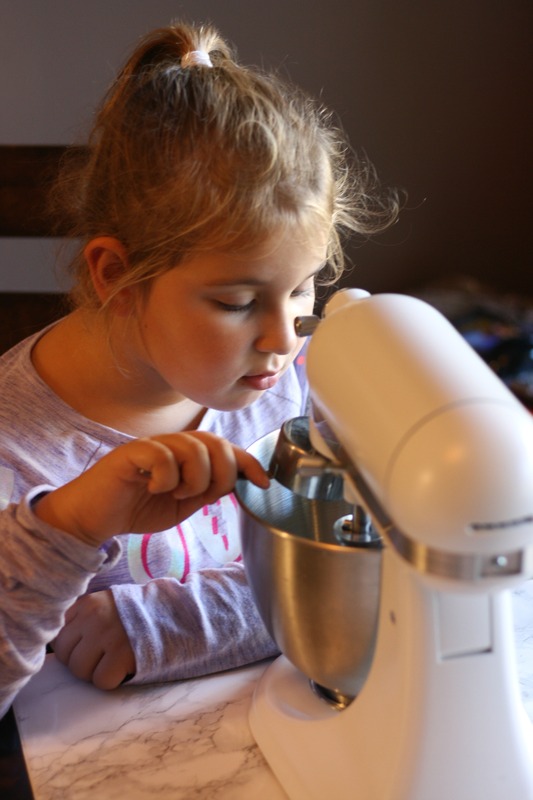 What a great recipe to follow with my little cooking helper! She would love to be in charge of the sprinkles too! These Italian Butter Cookies look like they would melt in your mouth! They would go perfectly with a nice cup of Folgers coffee! How great is it that you found and get to use your grandmother’s cookie press. We do a lot of baking over the holidays. I will have to add these cookies to the list. I’ve always loved making cookies with mom during the holidays. She would make a ton of goodies to give out to family and friends. Seeing these pictures of you and your girls making these delicious butter cookies brings back such memories. Awe such a great post! Reminds me of when I was in the kitchen with my mom as a kid. We always had butter cookies at Christmas. So yummy! 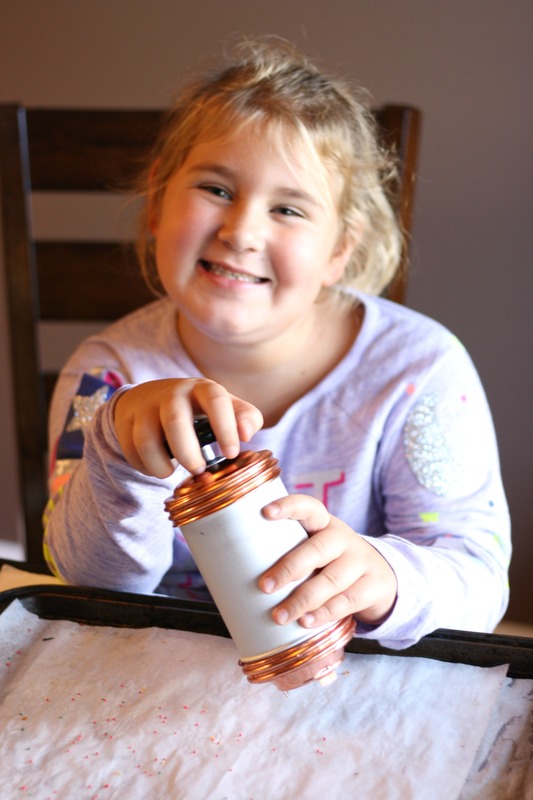 Your daughter looks like she’s having a blast making cookies and I bet they go great with that Foldgers coffee! These look and sound amazingly delicious! My Grandfather used to have these during the Holidays and I miss them so much. I don’t believe I ever had Italian butter cookies before. However, it looks and sounds pretty amazing! Those cookies look scrumptious and that time with your lil one baking is so precious. I loved helping out my mum making Diwali sweets. I hope to do the same with my son once he is older. Those look so good. I’d even buy a cookies press for them. 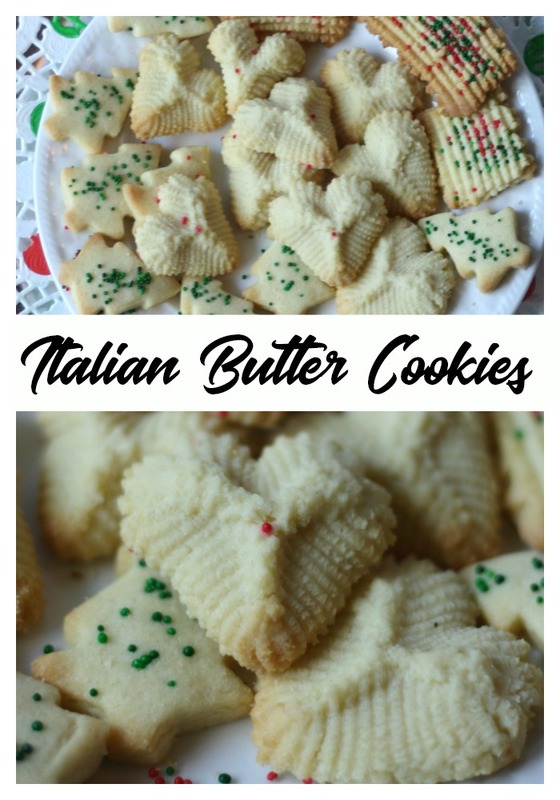 Italian + Butter + Cookies = YUM! 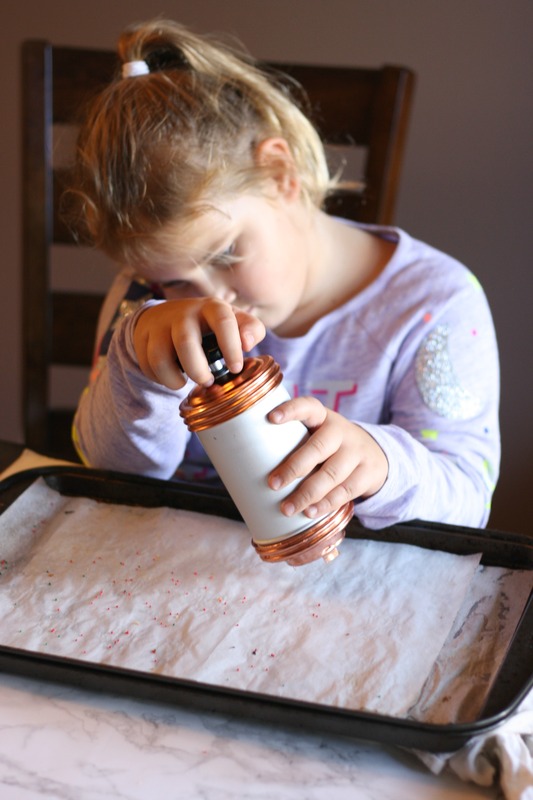 This Italian family will LOVE making these for the holidays! What a fun tradition to start with my daughters. Thank you for sharing your family recipe! 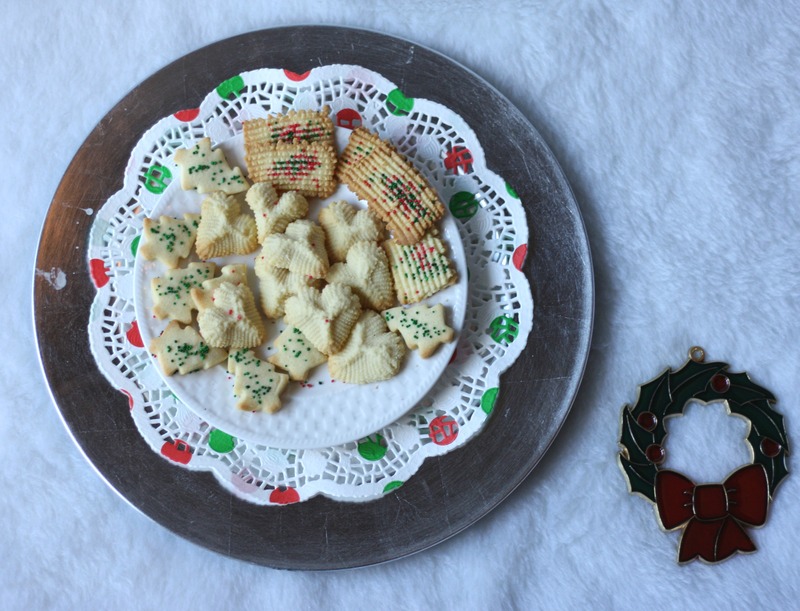 We always buy those cheap little butter cookies in the holiday tins, but this year I will make yours! Thanks!!! These look quite good. I am a big fan of butter cookies. These remind me quite a bit of Spritz cookies. Perhaps this is the Italian version. I also recently found my cookie press that I haven’t used in years. 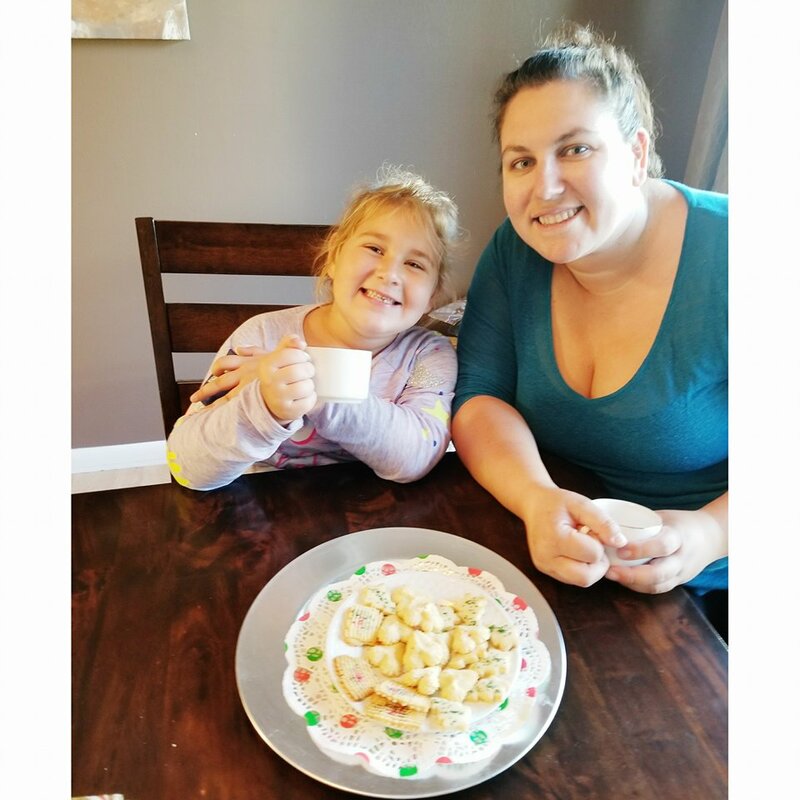 Thank you for sharing this recipe, perfect timing for making holiday treats and surprising my children and grandchildren. They look delicious, Reesa! I love the vintage cookie press!